With yesterdays post I shared about how to get updates from Sprint. Today BlackBerry announced its pricing. Scheduled availability is on April 19th. 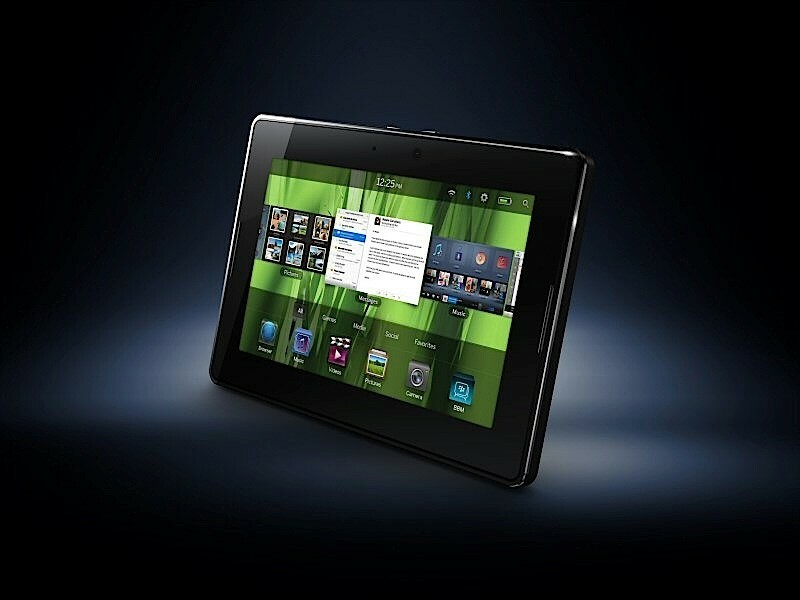 Will this be your tablet or choice or will you stick with the first one to the market. Maybe you want to spend the same and get more screen real-estate . The great thing is you can choose whatever you can handle. Today at CTIA Samsung announced two new Galaxy Tabs. In their event they showed how each person has a different use for tablets and they each prefer a different form factor. 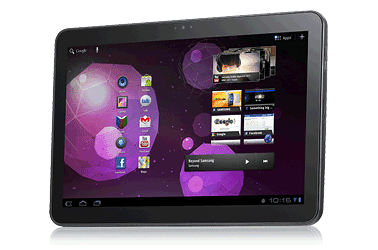 The first is the Galaxy Tab 10.1. 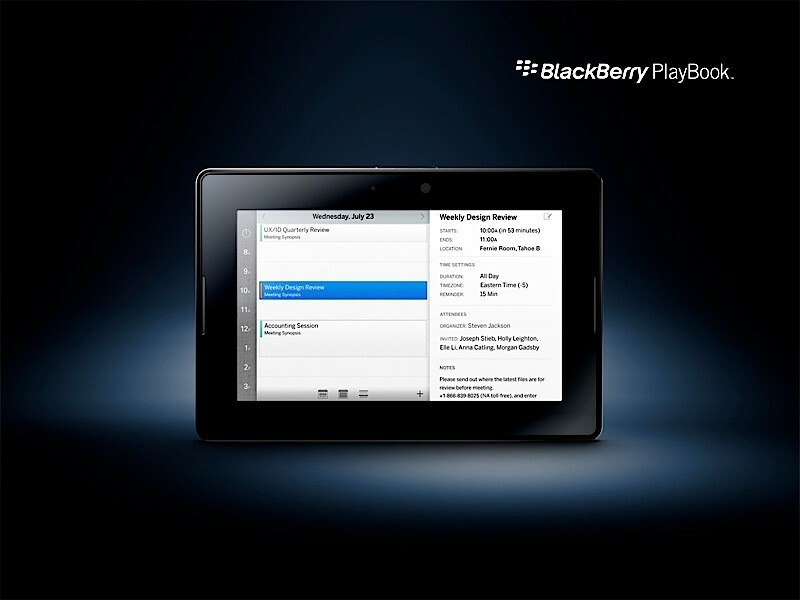 This will feature Android 3.0 and TouchWiz 4.0. It will have 4G capabilities. Other features are a Readers Hub, Music Hub, Media Hub, dual speakers,2 mp front facing camera, 5 mp 720p rear camera, and enterprise specific features. SD card adapter, hdmi/speaker dock, ear piece, and book cover case. Samsung just announced pricing of the 10.1" tablet, 16 GB at $499 and 32GB at $599. Launch June 8th! The second is the Galaxy Tab 8.9. It will consist of the same features as the 10.1 model. 16 GB at $469 and 32GB at $569. This will be available in the summer. Wow the market is really being filled with some great products. Samsung is promoting these to be the thinest and lightest tablets of them all. Well what do we have here? It looks like Sprint is getting very close to announcing the first 4G tablet made by HTC. They are calling it the EVO View 4G. If you would like to sign up to receive updates by mail you are free to do so here. So far rumored specs are to have a 1.5 GHz Processor and a 7" screen. Maybe this one will be the droid you are looking for. 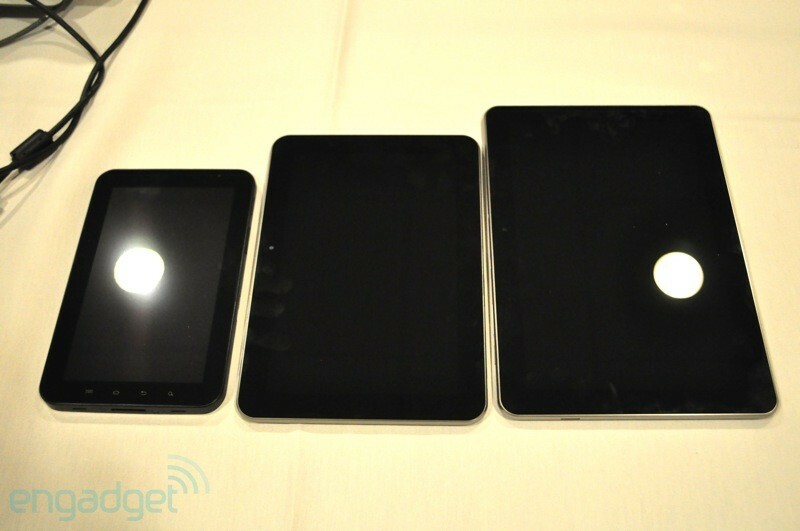 How does the iPad 2 compare with all the other tablets? Engadget answers your question. See the full article at Engadget. What another amazing Apple event that was. Apple is doing a great job at refreshing it's products fast. She here are my predictions for the iPad 2. More than half right but I did miss a few things. They made it slimmer, added the function to mirror screen onto TV with HDMI, a rear camera, and many other features. Go here to see the full specs. So my question to you is, does the iPad now have all you need or do you still think that it is a fad? Sound off in the comments. Thanks for reading! Here is my first video of many to come about the great tablets that are coming to the market. Hp didn't not release any details on pricing and only said that availability will be this summer. This looks like it will have a good start if they can release it soon. There are many Hp and Palm fans that will be sure to get a hold of this one.